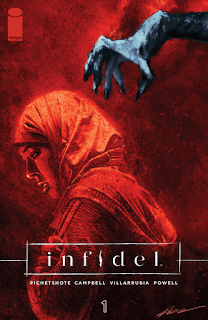 The Fellowship was fortunate enough to obtain a copy of INFIDEL #1 from Image Comics. Pornsak Pichetshote writes, Aaron Campbell draws, Jose Villarrubia colors, and Jeff Powell letters. Aisha and Tom have found a great deal – the rent is fantastic, and Tom’s mom is nearby. The catch, though, is that there was recently a mass murder in the building. Tom is really worried about Aisha, but she’s cool with the whole thing. She even seems to like his mom more than he does. But there may really be something strange going on in that building after all. Aisha is definitely stronger than Tom gives her credit for – she’s had her own issues with her Muslim mother over the years. This is Aisha’s story, too, and this first issue starts up the slow burn very effectively. The art is also great at adding to the story, and at setting up the strangeness in some amazingly subtle ways. Aisha is a great lead character, and the scene around her is set for as much uneasiness as any creative team could muster. This is an awesome start to a very creepy story. 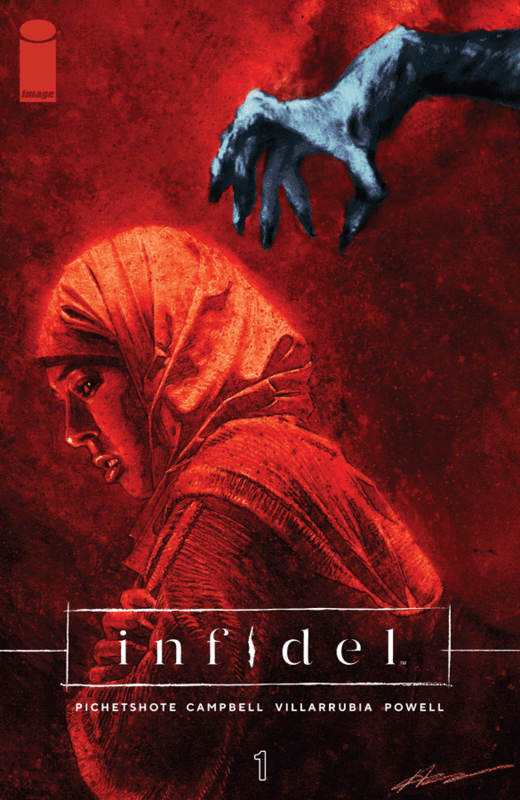 INFIDEL #1 is available now from your local comic shop, or online at imagecomics.com.